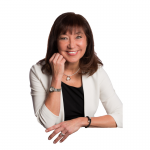 Jane Jackson is a career coach, author, speaker, podcast host, image consultant and workshop leader who is committed to helping all of us live a life less ordinary. Her book, Navigating Career Crossroads: How to Thrive when Changing Direction, is a #1 Amazon bestseller and definitely worth the read. 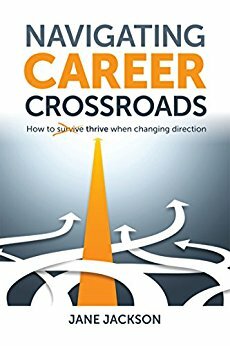 Even if you aren’t going through a career transition right now, Jane’s book has useful tips and exercises that you can use to fine tune your current position. She’s got sections on values clarification, choosing a suitable wardrobe and how to connect effectively with key decision makers on social media platforms like LinkedIn. Jane Jackson has been featured in all kinds of great publications including the Sydney Morning Herald, the Huffington Post, and Cosmopolitan. Mother of two beautiful daughters, Jane lives in Australia where she runs her international business and brings a lot of class to everything she does. I couldn’t agree more. Writing and publishing a book is a tremendous accomplishment, as well as a terrific gift to the world. Congratulations, Jane! Get to know more about Jane Jackson on her website here. Be sure to check out her 1980s exercise video for Nike!